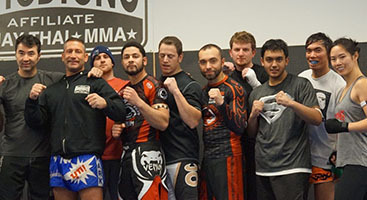 Though only recently introduced to the United States, Brazilian Jiu-jitsu is an art with a long history and tradition. Mitsuyo Maeda, a Japanese Judoka and prize fighter brought the art of Jiu-Jitsu to Brazil. Maeda taught the art to Carlos Gracie, who taught the rest of his family in turn. The Gracie’s became known as skilled fighters, accepting challenges from practitioners of many different martial arts styles. In 1993, the Gracie Family established the Ultimate Fighting Championship as a way of bringing their art to the United States. 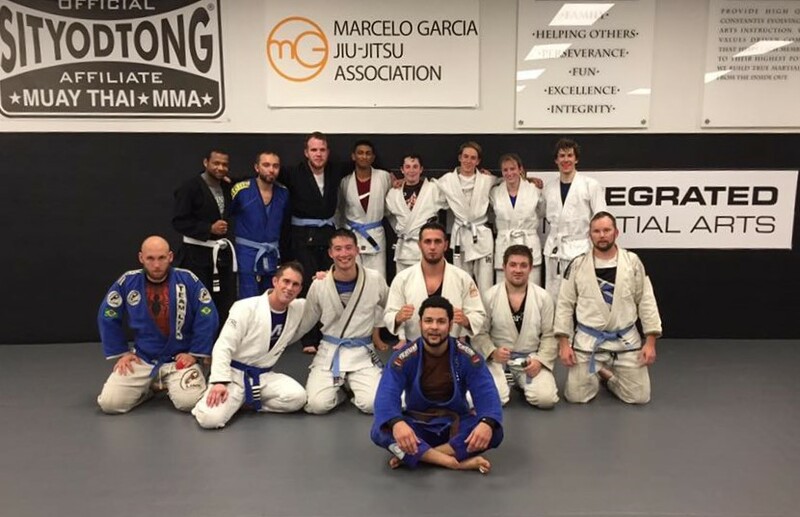 At Integrated Martial Arts we are proud to be the Marcelo Garcia Westborough Association! Our curriculum is based on the teachings of the world famous, 5-time World Champion and 4 time ADCC Champion, Marcelo Garcia. 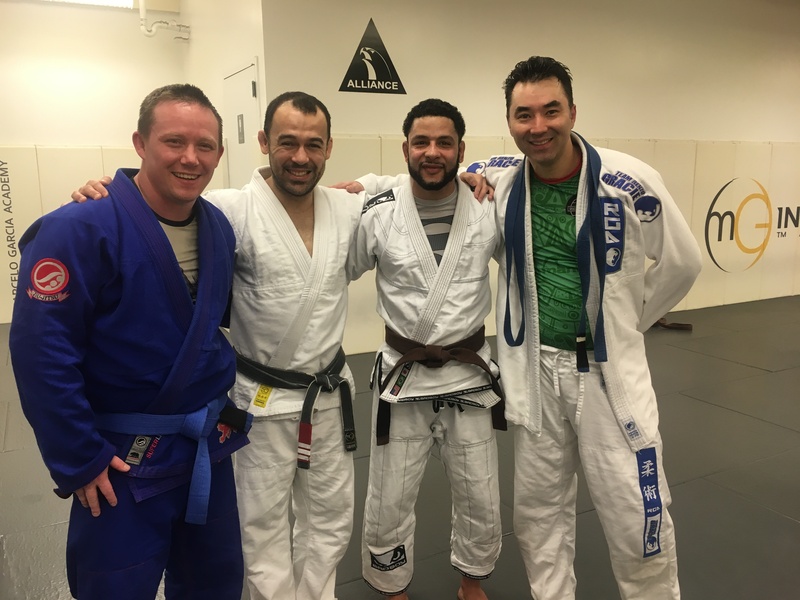 Marcelo’s dedication to Jiu Jitsu and his love of teaching is one of the things that inspires us to always develop and innovate here at Integrated Martial Arts! Brazilian Jiu-Jitsu (BJJ)martial arts training focuses primarily on grappling, or the skillful manipulation of another human being’s body. The curriculum includes throws, takedowns, sweeps, and trips to bring the opponent to the ground, along with a variety of joint locks and chokes designed to allow the BJJ practitioner to subdue their opponent. Since its introduction to the United States through the Ultimate Fighting Championship, Brazilian Jiu-jitsu has been shown to be effective not only in Mixed Martial Arts competitions and grappling tournaments but also in real world combat. Many law enforcement and military groups now include BJJ training as part of their defensive tactics curricula. Training in Brazilian Jiu-Jitsu provides intense physical exercise, and can benefit the practitioner’s stamina, strength, flexibility, and coordination. Brazilian Jiu-Jitsu by itself can be an excellent training method for physical fitness, and can also be a valuable supplemental training method for athletes in other sports. 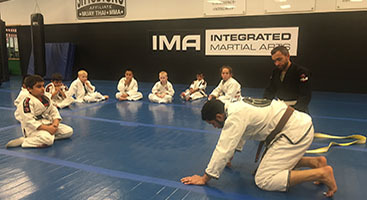 At Integrated Martial Arts, our Brazilian Jiu-Jitsu program is informed by our core values: we focus on fun, intense training that develops both mind and body. Whether you are new to the martial arts, or an experienced practitioner, this martial arts training has something to offer you. Interested in learning more? Contact our martial arts school today!